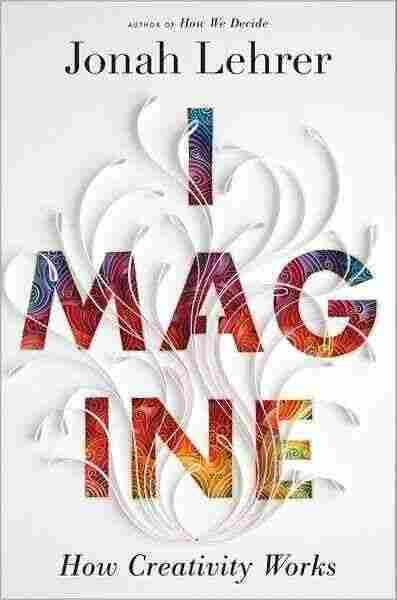 Imagine NPR coverage of Imagine: How Creativity Works by Jonah Lehrer. News, author interviews, critics' picks and more. 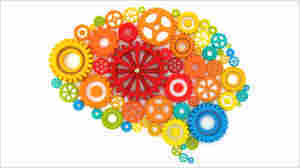 An examination of the new science of creativity explains how it involves distinct thought processes that can be tapped by anyone, revealing the practices of successful companies and creative individuals while considering how to use scientific principles to increase creativity. March 21, 2012  Some companies are helping their employees become more creative and increasing their productivity, says science writer Jonah Lehrer in his new book, Imagine. March 19, 2012  In his new book, Imagine, Jonah Lehrer explores the art and science of original thinking — from Shakespearean tragedies to the invention of masking tape to Nike's "Just Do It" campaign. And when you get stuck? "Take a very long, warm shower," Lehrer says. Procter and Gamble had a problem: it needed a new floor cleaner. In the 1980s, the company had pioneered one lucrative consumer product after another, from pull-up diapers to anti-dandruff shampoo. It had developed color-safe detergent and designed a quilted paper towel that could absorb 85 percent more liquid than other paper towels. These innovations weren't lucky accidents: Procter and Gamble was deeply invested in research and development. At the time, the corporation had more scientists on staff than any other company in the world, more PhDs than the faculties of MIT, UC-Berkeley, and Harvard combined. And yet, despite the best efforts of the chemists in the household- cleaning division, there were no new floor products in the pipeline. The company was still selling the same lemon-scented detergents and cloth mops; consumers were still sweeping up their kitchens using wooden brooms and metal dustpans. The reason for this creative failure was simple: it was extremely difficult to make a stronger floor cleaner that didn't also damage the floor. Although Procter and Gamble had invested millions of dollars in a new generation of soaps, these products tended to fail during the rigorous testing phase, as they peeled off wood varnishes and irritated delicate skin. The chemists assumed that they had exhausted the chemical possibilities. That's when Procter and Gamble decided to try a new approach. 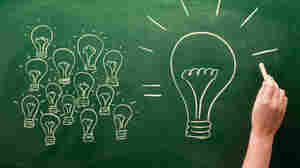 The company outsourced its innovation needs to Continuum, a design firm with offices in Boston and Los Angeles. "I think P and G came to us because their scientists were telling them to give up," says Harry West, a leader on the soap team and now Continuum's CEO. "So they told us to think crazy, to try to come up with something that all those chemists couldn't." But the Continuum designers didn't begin with molecules. They didn't spend time in the lab worrying about the chemistry of soap. Instead, they visited people's homes and watched dozens of them engage in the tedious ritual of floor cleaning. The designers took detailed notes on the vacuuming of carpets and the sweeping of kitchens. When the notes weren't enough, they set up video cameras in living rooms. "This is about the most boring footage you can imagine," West says. "It's movies of mopping, for God's sake. And we had to watch hundreds of hours of it." The videotapes may have been tedious, but they were also essential, since West and his team were trying to observe the act of floor cleaning without any preconceptions. "I wanted to forget everything I knew about mops and soaps and brooms," he says. "I wanted to look at the problem as if I'd just stepped off a spaceship from Mars." After several months of observation — West refers to this as the anthropologist phase — the team members had their first insight. It came as they watched a woman clean her mop in the bathtub. "You've got this unwieldy pole," West says. "And you are splashing around this filthy water trying to get the dirt out of a mop head that's been expressly designed to attract dirt. It's an extraordinarily unpleasant activity." In fact, when the Continuum team analyzed the videotapes, they found that people spent more time cleaning their mops than they did cleaning the floors; the tool made the task more difficult. "Once I realized how bad mopping was, I became quite passionate about floor cleaning," West says. "I became convinced that the world didn't need an improved version of the mop. Instead, it needed a total replacement for the mop. It's a hopeless piece of technology." Unfortunately, the Continuum designers couldn't think of a better cleaning method. It seemed like an impossible challenge. Perhaps floor cleaning was destined to be an inefficient chore. In desperation, the team returned to making house visits, hoping for some errant inspiration. One day, the designers were watching an elderly woman sweep some coffee grounds off the kitchen floor. She got out her hand broom and carefully brushed the grounds into a dustpan. But then something interesting happened. After the woman was done sweeping, she wet a paper towel and wiped it over the linoleum, picking up the last bits of spilled coffee. Although everyone on the Continuum team had done the same thing countless times before, this particular piece of dirty paper led to a revelation. What the designers saw in that paper towel was the possibility of a disposable cleaning surface. "All of a sudden, we realized what needed to be done," says Don Buchner, a Continuum vice president. "We needed to invent a spot cleaner that people could just throw away. No more cleaning mop heads, no more bending over in the bathtub, no more buckets of dirty water. That was our big idea." A few weeks later, this epiphany gave rise to their first floor-cleaning prototype. It was a simple thing, just a slender plastic stick connected to a flat rectangle of Velcro to which disposable pieces of electrostatic tissue were attached. A spray mechanism was built into the device, allowing people to wet the floor with a mild soap before they applied the wipes. (The soap was mostly unnecessary, but it smelled nice.) "You know an idea has promise when it seems obvious in retrospect," West says. "Why splash around dirty water when you can just wipe up the dirt? And why would you bother to clean this surface? Why not just throw it away, like a used paper towel?" Procter and Gamble, however, wasn't thrilled with the concept. The company had developed a billion-dollar market selling consumers the latest mops and soaps. They didn't want to replace that business with an untested cleaning product. The first focus groups only reinforced the skepticism. When Procter and Gamble presented consumers with a sketch of the new cleaning device, the vast majority of people rejected the concept. They didn't want to throw out their mops or have to rely on a tool that was little more than a tissue on a stick. They didn't like the idea of disposable wipes, and they didn't understand how all that dirt would get onto the moistened piece of paper. And so the idea was shelved; Procter and Gamble wasn't going to risk market share on a radical new device that nobody wanted. But the designers at Continuum refused to give up — they were convinced they'd discovered the mop of the future. After a year of pleading, they persuaded Procter and Gamble to let them show their prototype to a focus group. Instead of just reading a description of the product, consumers could now play with an "experiential model" clad in roughly cut plastic. The prototype made all the difference: people were now enthralled by the cleaning tool, which they tested out on actual floors. In fact, the product scored higher in focus-group sessions than any other cleaning device Procter and Gamble had ever tested. "It was off the charts," Buchner says. "The same people who hated the idea when it was just an idea now wanted to take the thing home with them." Furthermore, tests by Procter and Gamble demonstrated that the new product cleaned the floor far better than sponge mops, string mops, or any other kinds of mops. According to the corporate scientists, the "tissue on a stick" was one of the most effective floor cleaners ever invented. From Imagine: How Creativity Works by Jonah Lehrer. Copyright 2012 by Jonah Lehrer. Excerpted by permission of Houghton Mifflin Harcourt.